BERLIN -- German automakers have offered to cut harmful NOx emissions by updating the software of 5 million diesel cars to avoid more costly remedies and driving bans in cities. The companies will install new engine management software to make emissions filtering systems more effective,the VDA industry association said. Daimler, BMW, Volkswagen Group and and Opel agreed to the overhaul, it said. The upgrades to Euro 5 and some Euro 6 models will rely on software patches rather than costly component fixes, with the aim of cutting emissions of smog-inducing nitrogen oxides by 25 percent to 30 percent on average. The move should reduce pollution at least as much as driving bans proposed in major cities, the VDA said. 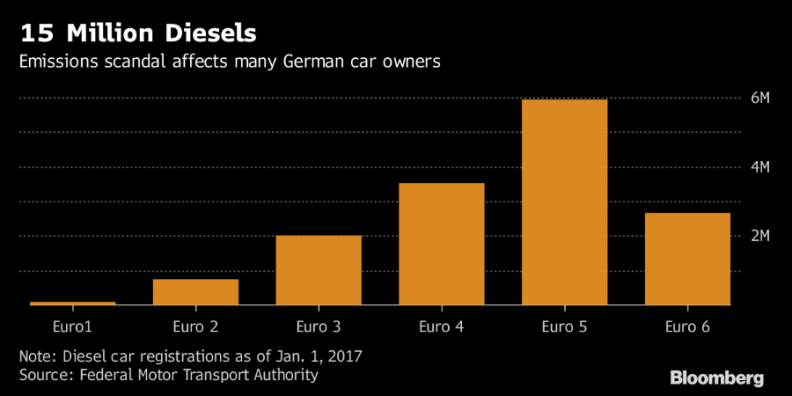 German Transport Minister Alexander Dobrindt said the carmakers would also self-fund incentives aimed at encouraging consumers to trade in diesel cars that were 10 years old and older for newer models with lower emissions. Dobrindt and Environment Minister Barbara Hendricks both said the government would do all it could to avoid driving bans for diesel cars in German cities. Top executives from the German auto industry met with ministers and state leaders in Berlin on Wednesday amid negative news about diesel pollution. The issue has become a key topic ahead of Germany's national election. Protests forced a last-minute change of venue for the talks. The summit was moved from the transport department to the more secured interior ministry after Greenpeace and other protesters descended on the transport ministry's offices. Activists hung a banner across the facade of the transport ministry proclaiming "Welcome to Fort NOX." "Our goal is to improve diesel rather than ban it," Daimler CEO Dieter Zetsche said in a statement after the meeting. "As long as e-cars still have a small market share, optimizing diesel is the most effective lever to reach climate targets in road transport." Separately BMW announced plans on Wednesday to offer owners of older diesel passenger cars designed to meet the Euro 4 or lower emissions standards a bonus of up to 2,000 euros when they trade in their vehicle for a new lower-emissions car. The new vehicle would have to be either a BMW i3 electric car, a plug-in hybrid or a Euro 6-standard vehicle. The campaign will begin this month and initially run through the end of the year, BMW said in a statement. Diesel was once the calling card of German auto-engineering prowess, with the industry boasting about the technology offering more power while emitting about a fifth less carbon dioxide than equivalent gasoline engines. German automakers need diesel as a stop-gap technology to buy time to catch up with the electric offerings of Tesla and Nissan. German politicians heavily backed diesel for decades with tax incentives that make the fuel cheaper at the pump. That all started coming crashing down in September 2015 following Volkswagen’s admission that it duped regulators and consumers for years with diesels rigged to cheat on emissions tests. 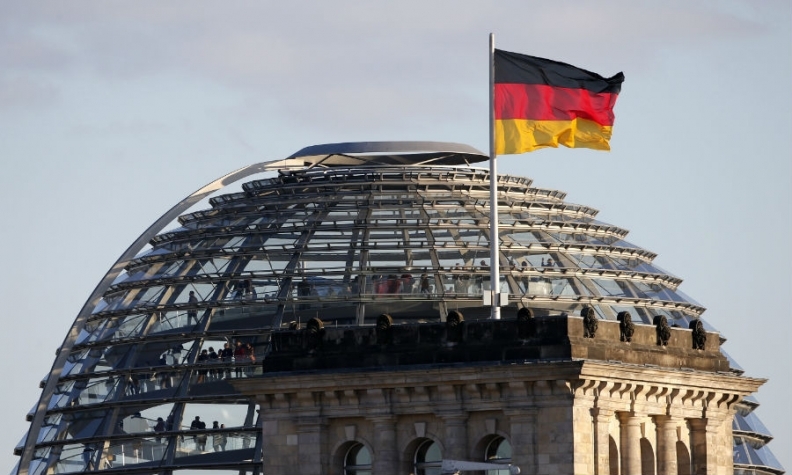 With less than two months until a federal election, Chancellor Angela Merkel, whose ruling bloc runs the ministry overseeing automakers, has to ward off criticism that the government is too lenient on car companies. Ministers are wary of angering the drivers of 15 million diesel vehicles and damaging an industry that is the country's biggest exporter and provides about 800,000 jobs. The VDA underscored on Wednesday the industry's commitment to boost electric-car demand by building a fast-charging network along German highways. German car sales data on Wednesday showed diesel car sales fell 12.7 percent in July. Sales of new diesel cars accounted for 40.5 percent of the market, down from 46 percent at the end of last year.